– Increase The Speed of Your Computer! 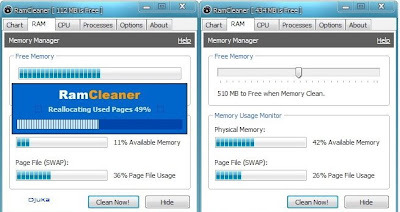 – Make Your RAM More Efficient! – Recover 100% of memory leaks! – Reduce Windows and Application Crashes! – Helps Stop Internet Explorer Freezing and Crashing! – Control running applications for better performance! – See exactly how much memory you have at all times!